Cistus essential oil (organic) (1 ml) + Rosehip Oil (organic) (3 ml) + Wheat germ oil (3 ml) + Geranium bourbon essential oil (organic) (2 ml) + mediterranean cypress essential oil (organic) (1 ml) . Mix oils and dab affected areas in the morning and at bedtime. Cistus essential oil (organic) (1 ml) + Lavender essential oil (organic) (1 ml) + Argan oil (organic) (3 ml) . Mix these essential oils with vegetable oil in a 5-ml to 10-ml bottle. Apply 4 to 5 drops to the chapped areas between 2 and 5 times daily. Repeat for several days if necessary. 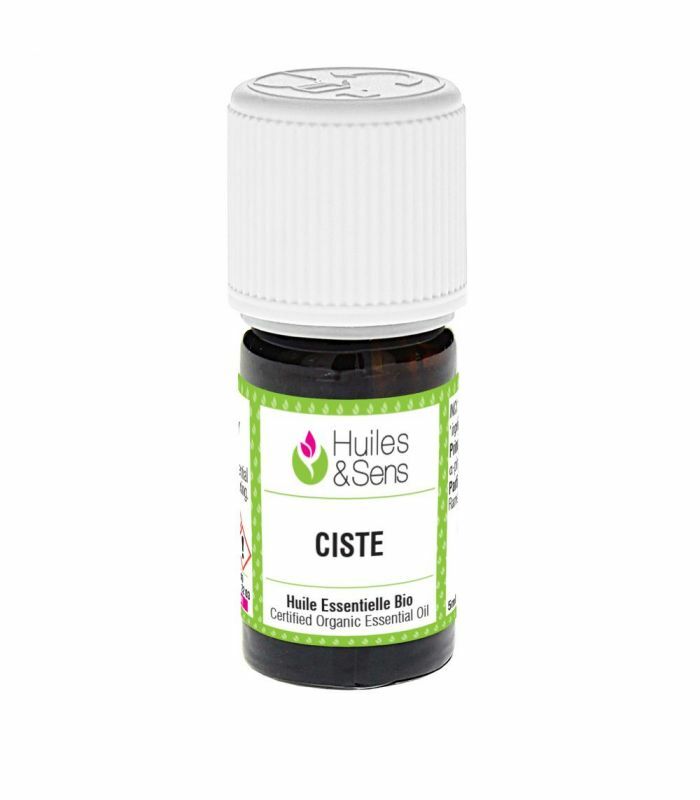 Cistus essential oil (organic) (2 drops) + Bay Laurel essential oil (organic) (2 drops) + Clove Bud essential oil (organic) (2 drops) + Myrtle essential oil (organic) (2 drops) + Lavender essential oil (organic) (2 drops) + Sweet almond oil (organic) (12 drops) . Mix all ingredients and massage aching gums with this preparation 3x/day. Cistus essential oil (organic) (1 ml) + mediterranean cypress essential oil (organic) (1 ml) + Evening Primrose Seed Oil (organic) (20 ml) + Peppermint essential oil (organic) (1 ml) + Mastic essential oil (organic) (2 ml) + Aspic Lavender essential oil (organic) (2 ml) + Helichrysum essential oil (organic) (2 ml) . In an amber glass bottle 30ml, mix all oils and apply up to 5 x/day. Cistus essential oil (organic) (20 drops) + Lavandin super essential oil (organic) (20 drops) + Tea-tree essential oil (organic) (10 drops) . Mix the essential oils and pour them in an opaque bottle. Apply this mixture morning, afternoon and evening on the piercing. Cistus essential oil (organic) (4 ml) + Rosehip Oil (organic) (8 ml) + Wheat germ oil (8 ml) + Hemp Seed Oil (organic) (8 ml) + Lavender essential oil (organic) (4 ml) + wintergreen fragr. essential oil (organic) (4 ml) + Helichrysum essential oil (organic) (4 ml) . Mix all ingredients and store in a cool place. Apply 3x/day a few drops on the scar or scars. Cistus essential oil (organic) (1 ml) + Baobab Oil (organic) (3 ml) + Lavender essential oil (organic) (1 ml) . Mix oils and massage 3x/day. Cistus essential oil (organic) (1 ml) + thyme thujanol essential oil (1 ml) + Niaouli essential oil (organic) (1 ml) + Tea-tree essential oil (organic) (1 ml) + Helichrysum essential oil (organic) (0.5 ml) + Myrtle essential oil (organic) (1 ml) + Rosehip Oil (organic) (50 ml) . This mixture is suitable for after delivery. Massage affected areas with a few drops morning and evening until improvement. Cistus essential oil (organic) (20 drops) + Tea-tree essential oil (organic) (10 drops) + Macadamianut Oil (organic) (2 ml) + Lavandin super essential oil (organic) (20 drops) . Rinse the wound thoroughly with soap and water. Mix oils and apply to the wound. 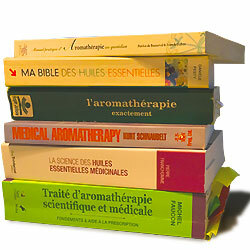 If the surface of the wound is very small, only apply essential oils (2 or 3 drops). Cistus essential oil (organic) (1 ml) + Lavandin super essential oil (organic) (1 ml) + Tea-tree essential oil (organic) (0.5 ml) + Calophyllum Oil (organic) (20 ml) . Apply a few drops of this blend essential oils / vegetable oil on (the) wound(s). Repeat up to 5 times a day if necessary. See also at 'injury' and/or 'burning'.